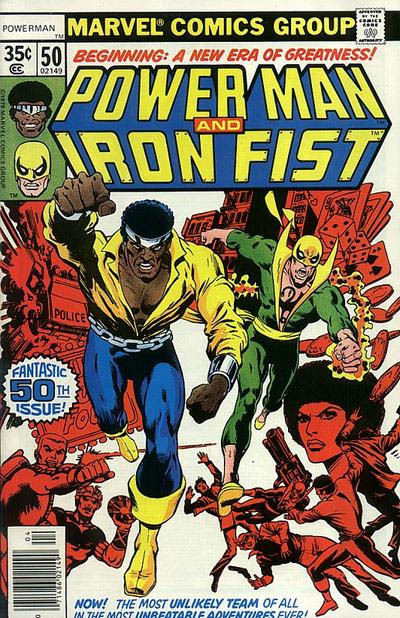 Power Man and Iron Fist are bringing their adventures to the small screen. For every billion-dollar blockbuster like The Avengers, Marvel is sitting on dozens of other properties that can be used to flesh out their universe, continue to grow their revenue stream, and add more color and interest into the Marvel Cinematic Universe. With the upcoming Guardians of the Galaxy, the in-progress Ant-Man, and the rumored Doctor Strange movie all ready to bring together some weirdness and flesh out the usual crowd of Thor and Captain America flicks, Marvel is showing a commitment to spend Disney’s money and find clever ways to make even more money off its roster of toy-ready superheroes. That is, once Marvel gets the rights back to its characters. With the failure to launch of Joe Carnahan’s Daredevil reboot, Marvel’s gotten back a pretty A-list property, and they’re planning on making use of it. Marvel is teaming with Netflix to launch four new superhero series with Daredevil, Luke Cage, Iron Fist, and Jessica Jones, plus a mini-series cross-over event featuring all four main characters. All four series will take place in the Hell’s Kitchen neighborhood of New York City, where the blind hero Daredevil has been traditionally based. Luke Cage and Iron Fist are both based in the area, and Jessica Jones (AKA Power Woman, AKA Jewel, AKA Knightress) is from the area because she’s a classmate of Peter Parker in most comic timelines. Of course, Marvel doesn’t retain the rights to Peter Parker, so you won’t be seeing Spider-man; unless Marvel retained his TV rights, in which case they might make a go at bringing in everyone’s favorite web-slinger into their own properties to stake some kind of ownership claim. Either way, I’m looking forward to seeing a lot of great Marvel heroes and villains finding their way into the grittier, street-level setting. Perhaps most importantly, it seems like the Marvel/Netflix super team will do what Marvel’s Agents of SHIELD has yet to do so far: bring in people with legitimate powers and have them work in a setting where they can use those powers. Given Netflix’s track record as a TV company, I have no doubt they’re willing to spend the money to make these four 13-episode series as awesome as possible. I can only hope that The Defenders lives up to my already-growing excitement.